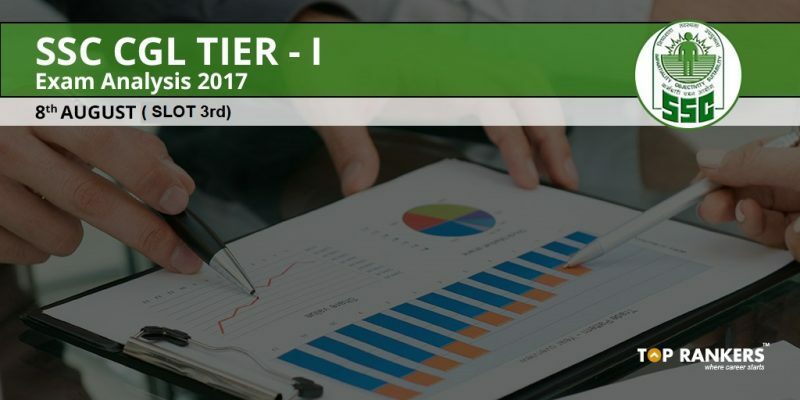 SSC CGL Tier 1 Exam Analysis 8th August 2017 Slot 3- We will give you insights of the third and final slot of the day. This SSC CGL Tier 1 exam review 8th August 2017 shift 3 will be based on the feedback received from students and verdict of candidates who attended the exam. Your number of safe attempts for this section are 19-22. The difficulty level was Easy. Your number of safe attempts for this section are 15-20. The difficulty level was Moderate. Your number of safe attempts for this section are 15-18. The difficulty level was Moderate- Difficult. Your number of safe attempts for this section are 15-18. The difficulty level was Easy- Moderate. Who got Literature 2016 Noble Price? Villi is found in which part of human body? Which living organism is segmented from head to tail? From which country India adopt Presidentship? Synapse is the gap between? Who is the musician in the Raja Agrsen’s Palace? Duge-the Hightest brigde formed in 2016 by which country? One question from book and author. Who is the architecture of Lucknow? We will be back with coming days exam analysis for SSC CGL tier 1 2017. Stay tuned with us. Election were taken from which coutry ?